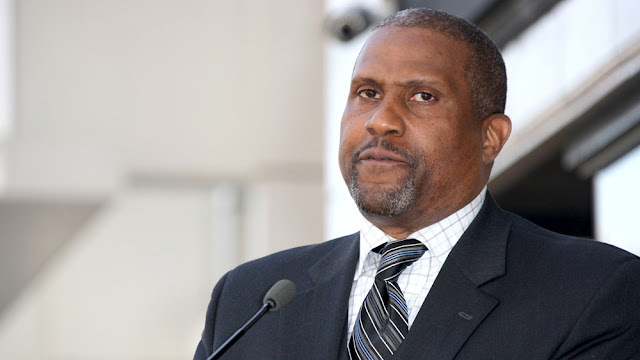 Less than a month after PBS dropped Tavis Smiley's talk show following reported inappropriate relationships with subordinates, Smiley on Monday announced a deal to go back to work with a new series about inspirational stories. The program, The Upside With Tavis Smiley, will be streamed online and shown on The Word Network, a religious-oriented cable and satellite channel directed at black viewers. By fashioning a new program focusing on inspirational stories instead of more general interest news and entertainment, Smiley will sidestep the issue of whether his downfall would make celebrities reluctant to be interviewed by him. By striking a digital distribution deal with the media company AerNow and a little-watched cable network, he also will be much less visible. But Smiley said he believed that going digital positions him well for the future. He also said he will attract a younger audience than he was getting at PBS, and that he also has struck a deal for international distribution for The Upside and his production company's inventory of interviews that he conducted in the past.